Hamilton Place Strategies (HPS) is an analytical public affairs consulting firm with offices in Washington, D.C., San Francisco, and New York City. We integrate substantive analysis with communications and believe a deep understanding of business and economics leads to more effective public engagement and better outcomes for our clients. 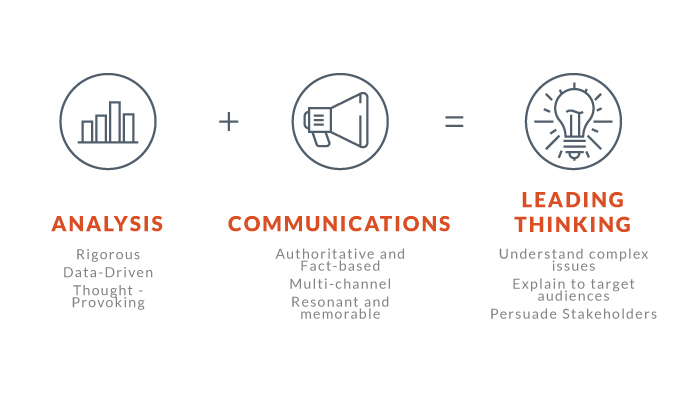 Communications should be fact-based, compelling, and memorable. Analysis should be rigorous, accessible, and thought-provoking. Our approach combines analytical rigor, topical expertise, and creative thinking to improve understanding of the issues facing our clients. We draw from our in-house research and analytical capabilities to understand the complex issues our clients are facing. This includes: issue/decision analysis; policy impact reports; issue primers; forecasting, modeling, and sensitivity analysis; reputational benchmarking; organizational assessment; and survey work and polling. We combine analytical rigor with proven communications techniques and a "show, don't tell" bias to explain issues to target audiences. This includes: message development; brand management; media relations; crisis communications; investor communications; employee communications; news cycle management; digital communications; advertising; and event production. We identify and cultivate the voices necessary to make the story come to life and convince stakeholders of the right solution. This includes: thought leadership creation; coalition and campaign management; influencer relationship building; and third-party validator development. HPS uses substantive analysis to understand complex topics and creative communications tools to explain issues to target audiences, and reach critical stakeholders. We achieve our clients’ goals by enhancing understanding of issues, products, and companies, and ultimately, improving outcomes. Regardless of the topic or audience, it is a prerequisite that we agree with a prospective client on their position on the issue they are facing. This defines how we feel about the work we do, the way we think about it, and the impact it has. All together, this makes Hamilton Place Strategies one of the most innovative and effective public affairs firms working today. That is Leading Thinking.